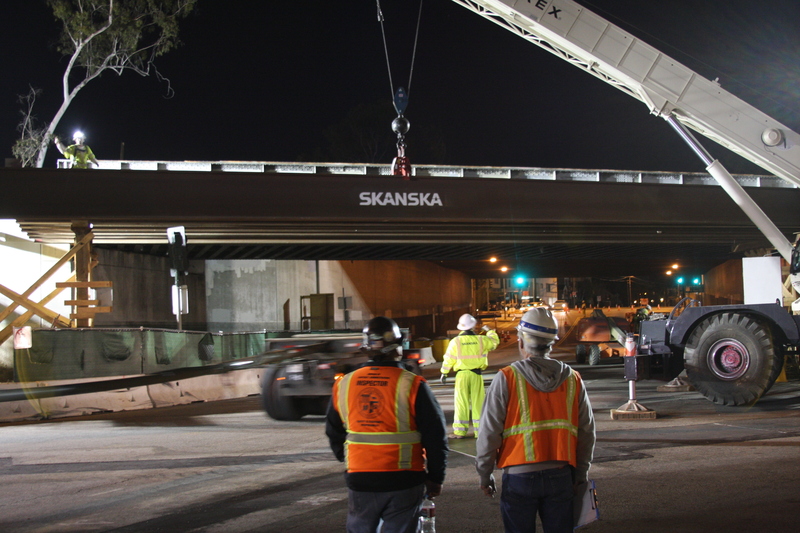 Nice photo from work done Monday at the bridge that will carry the Expo Line over National Boulevard in Palms. ExpoLine Fan has tons of construction pics on his Flickr page and updates it frequently for those who want very frequent updates on work on Phase 2 of the project between Culver City and Santa Monica. This may be a silly question, but will this station open once it is connected to the Culver City station, or will we have to wait until the entire Phase II is completed? One of the exciting things about Southern California life is watching construction continue all winter since there is no frozen ground. All of the work in Arcadia, Culver City and even Santa Monica continues at a great pace. I can hardly wait to take the 217 from West Hollywood, then the streetcar to the sea!